In recent years, the reputation of the Oscars has steeply fallen in the public eye, both in its popularity and respectability. Various scandals, lack of diversity and representation in its nominees, as well as frustrations with the very limited scope of the Oscars’ selection process have led to astaggering drop in viewership. Regardless of the awards show, 2018 was a great year for filmmaking. These eight movies deserve a few hours of your time, despite any nomination(s) or lack thereof. 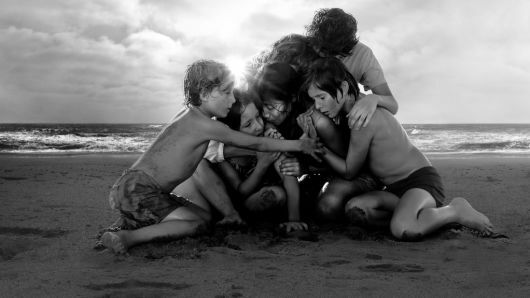 Before I get to the films that didn’t get much Oscars attention, I must give mention to “Roma,” the cinematic black and white masterpiece from the director of “Gravity.” The film is a fictional recollection of its director, Cuarón’s, childhood and the nanny that cared for him in 1970s Mexico City. It’s a stunning balance of careful intimacy and grand artistry and provides a unique and subversive perspective on social issues like gender, race and class. Every shot is so carefully constructed, from intimate scenes in the family kitchen to the massively violent rebellion in the middle of the film. “Roma” is available to stream on Netflix. This massively under-hyped film is not for the faint of heart or spirit. The power of this film lies in the contrast between its stern, plain exterior and color palette with the raw, emotional unraveling of its primary character – a cancer-ridden Reverend played by Ethan Hawke, who is in the midst of a traumatic and spiritual crisis. It also contains a truly hallucinogenic moment of intimacy that is one of the most fantastic scenes of 2018 between the Reverend and Mary (Amanda Seyfried), a parishioner who seeks help for her depressed, radical environmentalist husband. Viewers should not expect a typical 18th century period piece from the director of films like “The Lobster” and “Killing of a Sacred Deer.” It is an almost entirely fictional power struggle between two ambitious women that leaves Queen Anne caught in the middle of it all. Despite its sinister moments, the characters’ spontaneity, absurdity and the setting of sheer decadence not unlike the 2006 film “Marie Antoinette” make this film an absolute pleasure to watch. In what is perhaps the best Joaquin Phoenix performance so far, this film manages to leave an aggressively violent imprint on the viewer’s mind, despite only being marginally graphic. It focuses on a PTSD riddled war veteran turned hitman who must rescue a child form a prostitution ring. The cinematography and editing of this film leave a lasting impact that is so unique, it is almost indescribable. The result is a film that expands the notion of a deeply psychological character study. As if one stunning black and white film within one year wasn’t enough, 2018 also gave us “Cold War,” a film so precise in its historical stage setting one almost wonders if they are being transported into 1950s Poland. Despite the unforgiving reality of history, the film immerses the audience in an incredibly intimate romance with strong performances coming from both actor and actress. It’s the kind of on-screen chemistry that has your heart thumping along with the characters. Very few words are spoken within the film, which makes it even more transcendent of language and culture while still maintaining fierce originality in the story it tells about the realities of living within the era. You might have blinked and missed the release of this Netflix Original earlier this year from the director and cinematographer of “Ex Machina.” The film delivers fantastic performances from Natalie Portman and Oscar Isaac and offers a unique dystopian premise that somehow succeeds on all fronts, despite the possibility of falling into silly alien thriller tropes. The ending contains my favorite cinematic moment of 2018. I will not spoil it entirely, but I will say it involves an eerie alien dance. If you hate ambiguous endings and sci-fi, this is one to avoid. However, if you like a movie that you’ll be dissecting for days to come, “Annihilation” is for you. I think almost anyone would enjoy this movie. Apart from the story of Miles Morales being a welcome and original addition to the Spider-Man cinematic universe, this film is a visual and aesthetic delight. The film synthesizes comic book panels and contemporary animation in such a way that must be seen to be believed. It also carries a valuable message and adds a genuinely unique and diverse hero to the heavily caucasian-dominated Marvel universe. Perhaps the title of most underrated film of 2018 should go to “Sorry to Bother You,” an in-your-face satire that offers forceful social critiques of capitalism, race, gender and class through rebellious and theatrical subversion of many on-screen tropes. It grasps the audience’s attention and confronts them with injustices, but avoids being a purely heavy-handed dose of political commentary. It’s staggeringly entertaining, funny, rhythmic and offers almost psychedelic styling and cinematography. There’s so much to unpack in this film, it’s better to just watch it for yourself.